I’ve been a fan of Aardman Animations since their Oscar-winning Creature Comforts (1989) short, which led me to Nick Park’s first ‘Wallace & Gromit’ adventure, A Grand Day Out (1989), and its award-winning sequels The Wrong Trousers (1993) and A Close Shave (1995). By the time Aardman’s first feature film, Chicken Run (2000), became a worldwide box office triumph, the Bristol-based company was firmly established as a shining light of the UK film industry. 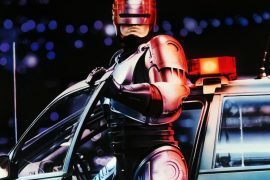 And all this despite specialising in “outdated” stop-motion animation (or “claymation”), at a time when Pixar was pushing boundaries with cutting-edge computer animations like Toy Story (1995) and A Bug’s Life (1998). 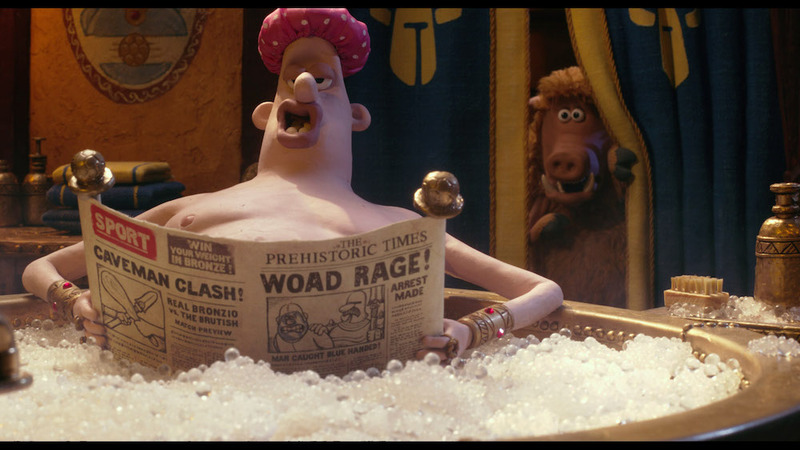 Audiences responded to the simple charms of Aardman’s thrifty plasticine epics, like the $30 million horror spoof Wallace & Gromit: The Curse of the Were-Rabbit (2005). Aardman ventured into CGI with Flushed Away (2006), but the only thing flushed away was their $250 million business partnership with Dreamworks after the $149 million movie only just made back its production budget. A decade after that humbling breakup with Dreamworks, Aardman Animations are in a healthier place after re-focusing on what they do best: make stop-motion family comedies that embrace British culture’s fondness for wordplay, silliness, and slapstick. Aardman have yet to match the profitability of Chicken Run almost 20 years ago, however. Arthur Christmas (2011) was a brave return to CGI that earned good reviews, as did their first 3D venture, Pirates! In an Adventure with Scientists! (2012), and a movie version of TV series Shaun the Sheep (2015). But all three were only modest financial successes on the world stage, compared to Chicken Run raking in $225m from a $45m outlay. 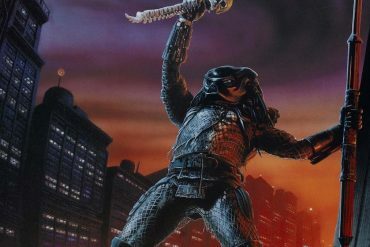 It’s still the highest-grossing stop-motion film ever made. 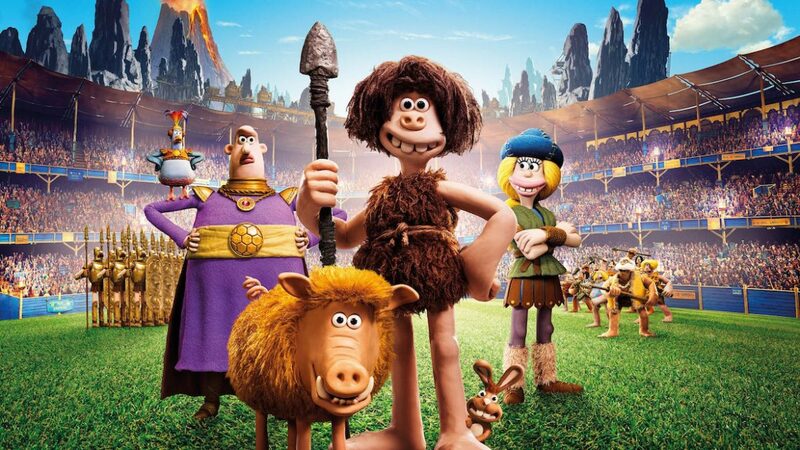 Their latest effort, Early Man, is directed by Wallace & Gromit supremo Nick Park, who many fans view as Aardman’s “Walt Disney”. Although he didn’t found the Bristol studio where all of his work’s been produced, which many people don’t realise. 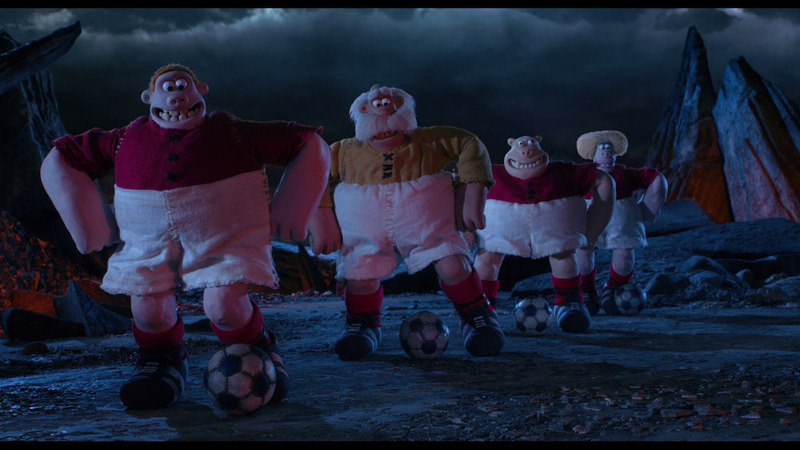 Most of Aardman projects focus on very British concerns, interests, or backdrops, so knowing that Early Man revolved around the creation of football and a class war between the “Stone Age” and “Bronze Age” sounded promising. 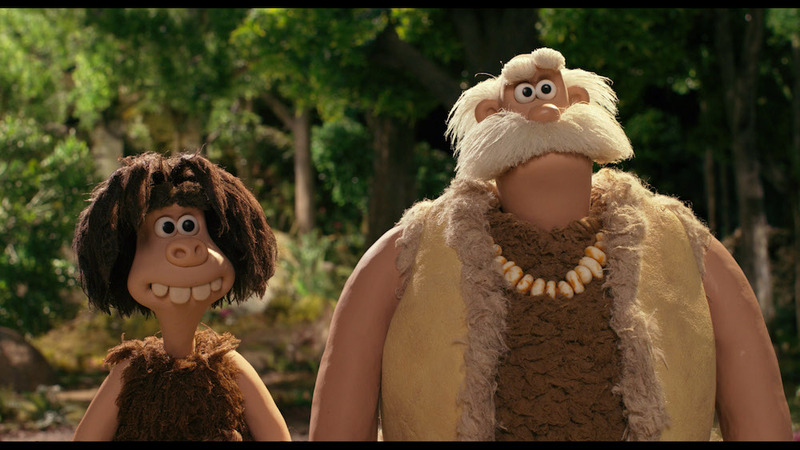 There’s also a fine tradition of children’s comedy utilising the fascination kids have for prehistory (which perhaps has its roots in Hanna-Barbera’s The Flintstones), so it’s easy to see why Aardman wanted to make Early Man. Unfortunately, it doesn’t really work. The concept sounds fun and the execution of the animation is as endearingly ‘lo-fi’ as usual. The technical advancements made between projects aren’t noticeable in what’s up on screen, just how efficiently these stop-motion films are made. But there just isn’t enough here in terms of narrative richness, compelling themes for adults to grasp onto, memorable gags, and relatable characters and fun relationships. It’s a predictable and not especially funny underdog story set in a prehistoric milieu. 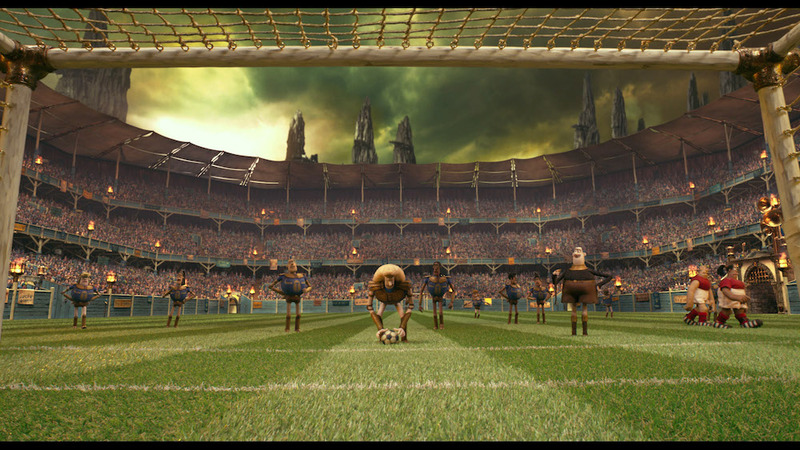 Only this one involves football (a difficult sport to make look natural and exciting in live-action, and evidently impossible with stop-motion). It’s also filled with obvious ‘dad jokes’, perhaps because it was written by three men pushing 60. 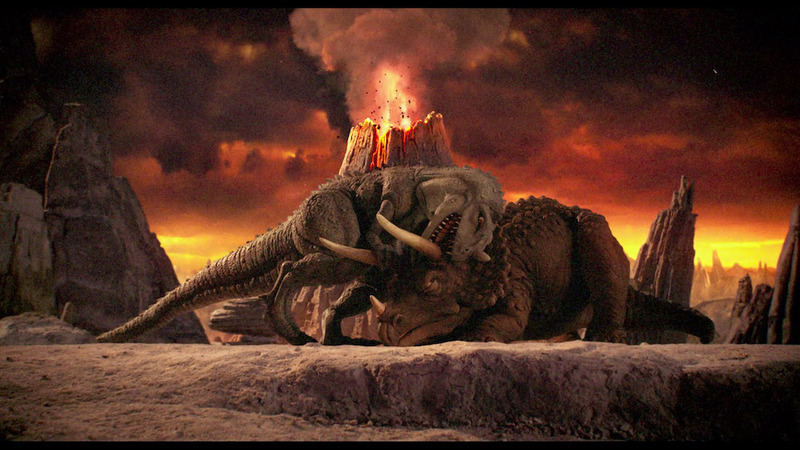 In a slightly confused setup, a tribe of cavemen survive the asteroid strike that wiped out the dinosaurs, then use its circular remnant to invent the sport of football. Generations later, Stone Age descendants of those early sportsmen have long forgotten about playing football (so have no idea what various cave painting depicting the game mean), but they soon have to rediscover their heritage when a Bronze Age army arrive to drive them out of their lush valley and into the volcanic badlands. However, after one caveman called Dug (Eddie Redmayne) is accidentally taken to a Bronze Age city, ruled over by Lord Nooth (Tom Hiddleston), he realises that something called football has become a big part of their culture, so he organises a match to decide the future of his people. If the cavemen win they’ll get their idyllic valley back, but lose and they’ll willingly become slaves down one of Nooth’s mines. It’s essentially Shaolin Soccer (2001) for the under-10s, with an element of Escape to Victory (1981), only with Flintstones jokes and plasticine. The problem with Early Man is there isn’t enough going on to justify even a slim 87-minutes, especially when it’s torturously obvious where the story is headed. You could almost write the plot yourself, and yet there are pieces of it that seem confused or not properly thought out. If Dug’s ancestors created football on the very spot where they’re all still living, why has it been forgotten to time if the rest of the world continue to play it? There’s always some degree of hand-waiving to be done in kid’s films, but Early Man has the feel of a decent half-hour short stretched to feature-length without enough plot or deep characterisation to make it a worthwhile experience. The voice actors are also a strange ensemble. It’s impossible to tell that Eddie Redmayne, Tom Hiddleston (doing a cartoonish French accent), and Maisie Williams (Game of Thrones) are voicing the three leads. Maybe that shouldn’t matter, but one has to wonder why Aardman bothered hiring celebrities that don’t have distinct voices. It seems like a calculated marketing move, with Redmayne coming off his Oscar success, Hiddleston being a Marvel heartthrob, and Williams appearing on the world’s most popular TV drama. None of them do a particularly good job elevating the sketchy material, which rarely rises above groaning puns and silliness. Indeed, it’s disappointing the only memorable and undeniably funny sequence involves Nooth being given a massage by boar while bathing, believing Hognob is his manservant. 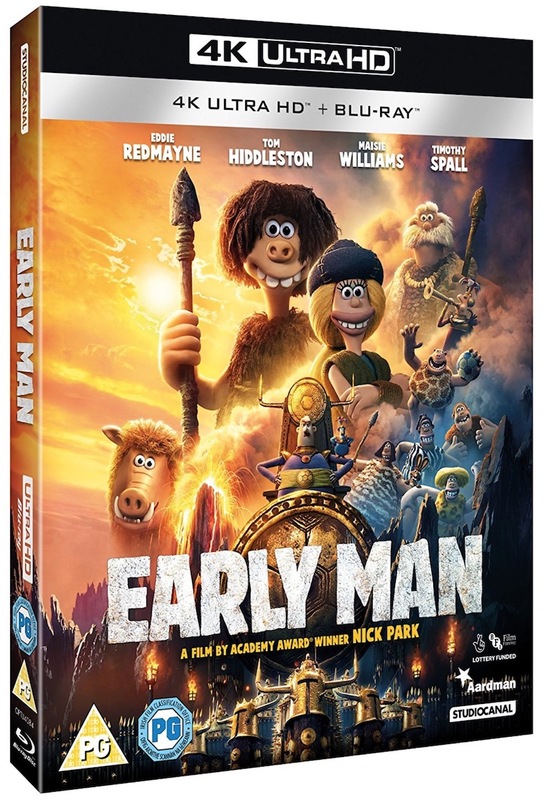 Nick Park’s a genius with this art-form, but there’s a tiredness and lack of complexity to Early Man that leaves it feeling very inconsequential. There’s more wit and invention The Wrong Trousers than the entirety of Early Man, which doesn’t do anything interesting with a sketch-length idea populated by forgettable characters. Early Man needed to embrace the sense of absurdity and visual ambition that only appears in brief spurts, such as when a giant razor-toothed prehistoric duck makes an appearance. And if you’re thinking my negativity is because I’ve outgrown these movies in adulthood, I watched it with my three nieces, who are all under 7. They laughed only a few times, and two left the room after an hour. Early Man comes to home video courtesy of StudioCanal with a 2160p video (HDR10) 1.85:1 image sourced from a 4K digital intermediate. The Blu-ray is 1080p 1.85:1, sourced from the same. Animations are often the best demo discs because filmmakers have minute control over everything appearing onscreen, and there’s something extra satisfying about stop-motion because the characters and sets existed in miniature form. The level of detail is stupendous (thumbprints clearly visible on each puppet; every blade of grass is distinguishable), and the colouring is gorgeous with deep contrast between dark and light. The 4K Ultra HD disc has the edge over its Blu-ray cousin because of the higher resolution and presence of high dynamic range (HDR10), but either disc is a delightful A/V experience. Both the 4K and Blu-ray discs come with a 7.1 lossless Dolby Atmos track, which I’m sadly not equipped to take advantage of yet, but have it on good authority it’s terrific. The 5.1 DTS-HD Master Audio mix isn’t exactly a slouch when it comes to pleasing your lugholes, however, with great surround effects and crisp dialogue throughout. Audio Commentary with director Nick Park & editor Sim Evans-Jones. Birth of Early Man. (1080p, 8:09) Enjoyable featurette about the joy of Aardman realising Nick Park wanted to bring a caveman adventure to the big screen and the origins of his idea. Lots of talking head interviews with producers and animators, featuring glimpses of what goes on behind-the-scenes making the film and voicing the characters. Eddie Redmayne, Tom Hiddleston and Maisie Williams discuss their involvement with the movie. Evolution of Early Man. 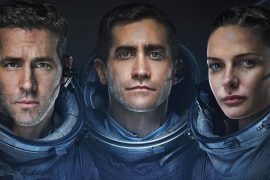 (1080p, 8:01) Another featurette, this one about the crafting of the characters in terms of the vocal performances. Hiddleston reveals he was advised to aim for a funnier French accent than anything too realistic, while Williams opted for a Norwegian accent based on a YouTuber she likes. There’s also footage of the animators and Nick Park performing as the characters in “L.A.V” (live-action video), to help bring the characters to life. Match of the Clay. 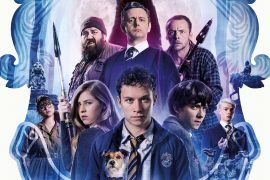 (1080p, 2:57) A shorter featurette on the specific aims of the scenes in the football arena, which required choirmaster Gareth Malone recording a 1,000-strong vocal recording of a stadium crowd chanting and cheering. Nick Park: Massaging the Funny. 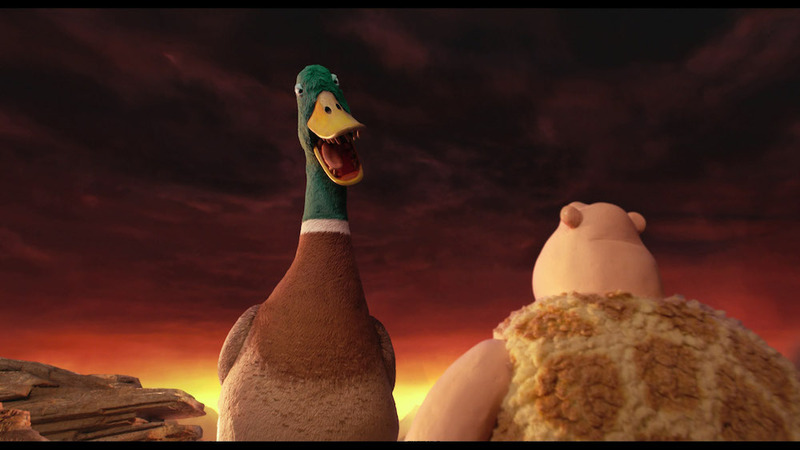 (1080p, 8:47) A love-in for Nick Park and his great skill in this medium, with a focus on the humour and the attempts to improve the script to make it funnier and quirkier as they went along. The Valley Meets the Bronze. (1080p, 7:32) A focus on the idea of the Stone Age meeting the Bronze Age, and how the film depicts the two very different civilisations onscreen. Hanging at Aardman Studios: A Workshop Exploration. (1080p, 7:45) An exploration of Aardman Studios and all its different departments, showing how Nick Park’s initial ideas and drawings become physical props, sets, and puppets. Before the Beginning of Time: Crafting Early Man. (1080p, 14:37) Not sure why this couldn’t be part of the ‘Birth of Early Man’ featurette, but it’s more insight into how the project began and came together. It apparently takes two years to write and prepare the ground before a single shot of animation is even done. It’s great seeing some of the techniques the animators have come up with to create this world, too. The best example being flickering firelight, which is achieved by painting a pickle jar and revolving it while shining a light through the glass onto the set. writers: Mark Burton & James Higginson (story by Mark Burton & Nick Park). starring: Eddie Redmayne, Tom Hiddleston, Maisie Williams & Timothy Spall.